10 years ago, when we hear the word "coworkers," it usually refers to people working in the same office setting for the same company. But there's a growing international movement that could redefine the word forever. What does "coworking" mean today, and how can you benefit from it? The prefix "co-" in "cowork" modifies a word to add "together." So, to cowork is to work together. That seems straightforward. But unlike the conventional definition of "coworkers," or people who work together for the same company, coworking today means working alongside others on separate projects -- often for different organizations -- in the same shared workspace. According to The Coworking Wiki, coworking assumes that "independent professionals and those with workplace flexibility work better together than they do alone." In other words, working flexibly and collaboratively helps employees, but working around other people helps, too. Coworking spaces offer the best of both worlds: working alongside others in a non-traditional office setting. 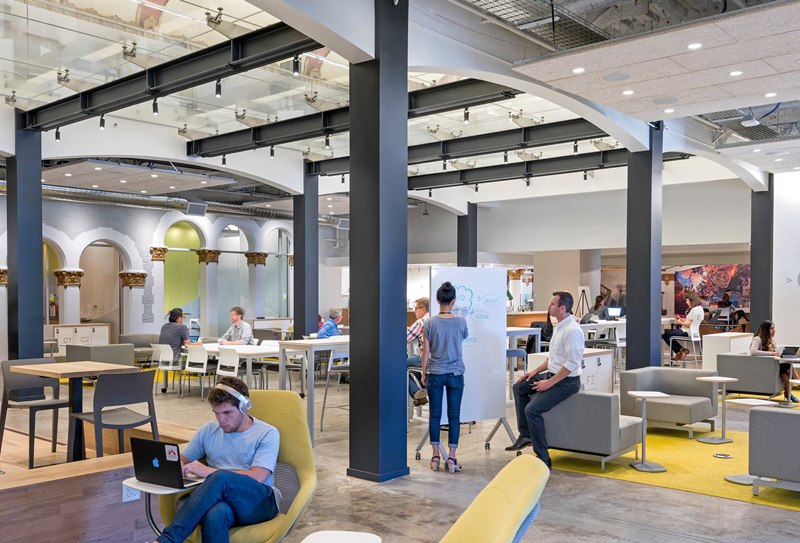 In fact, even traditional offices are using flexible workspaces based on coworking, either replacing their existing spaces or adding specifically collaborative spaces for their employees. We've already written about the benefits of coworking in suburban areas. To sum up, staying close to home has plenty of perks, including shorter commutes, closer clients and more time to relax, without the trouble of working at home. If you're not convinced, the Harvard Business Review released an article in September 2015 analyzing some specific rewards of coworking. Employees who cowork feel their work is more meaningful, have more control in their jobs and have strong communities on whom they can rely. They also build a better network of fellow entrepreneurs who might be able to help their business thrive. Yes! If you can work remotely or from home, you can cowork. Additionally, if you work in or manage a traditional office space, you can implement a coworking environment instead. This is especially true if you and others in your office like collaboration, accountability and structure but dislike office hierarchies, competition, pressure, and commutes. 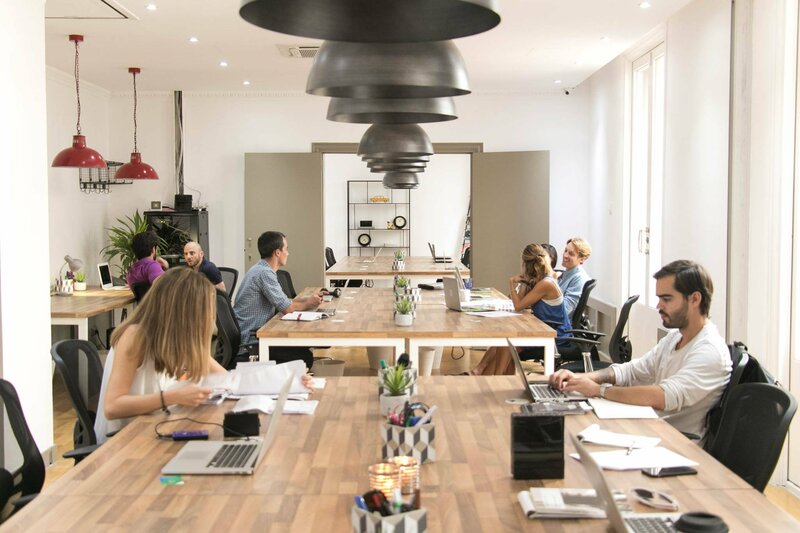 To see if coworking is a good fit for you, check out The Global Coworking Blog and their list of coworking's core values. If those values strike a chord with you, coworking could be a great solution. Then find a space near your home or wherever in the world you want to work. How do I make coworking worthwhile? To get the most out of the experience, build a network in your coworking space. After all, you're there to support each other! While you get to know your coworkers, get to know yourself, too. Understand the conditions under which you work best. Do you need peace and quiet, or does silence itself distract you? Do you need to talk through ideas with others, or do you need complete focus? Find others in your coworking space whose needs are compatible with yours! One of the benefits is access to conference rooms and top technology. Ask your space about their coworking software. Make sure they are using technology to automate your experience, from booking conference rooms to receiving guests and how they handle your mail. And finally, remember that coworking is a movement! In addition to Coworking.com, The Global Coworking Blog, and The Coworking Wiki, search social media. Twitter has plenty of activity in #coworking; you can see ideas and advice from hundreds of people and organizations. Coworking represents a new way of working. It offers many of the same advantages of the traditional office environment - great infrastructure and a community of coworkers. Combined with the best parts of remote work - working from anywhere at your preferred hours. Coworkers have carved a rapidly growing niche for themselves in an evolving world. That's an excellent reminder to us all, coworkers or not: if you want to see something better, you might have to make it yourself.